This is one of my top reads from 2012 …. In fact it would probably rank as one of my top reads ever! It certainly qualifies as one of the most inspirational books I’ve read. “If you want to create a space for innovation, you won’t get far by cloistering yourself away from the world and waiting for inspiration to hit you. Chance favours the connected mind”. I had light-bulbs going off all over the place when I read this book. There was so much to think about! So I’ve restricted myself in this blog posting to highlighting just one of the key ideas for me. This came from chapter III, The Slow Hunch, and the key idea was The Commonplace Book. I cannot believe I hadn’t come across this concept before. Thank you Steven Johnson for being the person to enlighten me. 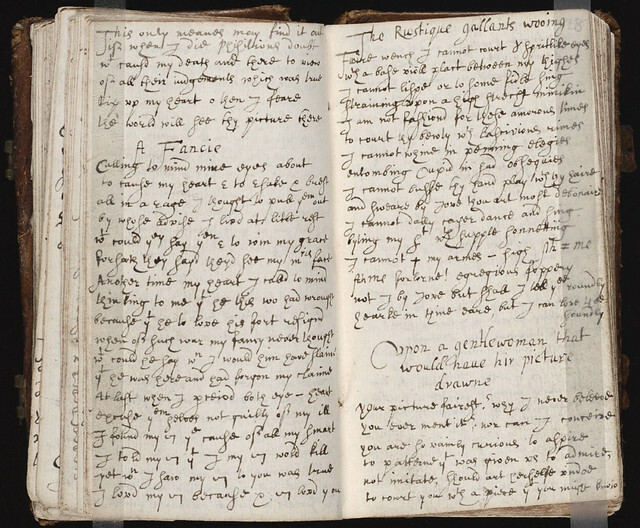 Such books were essentially scrapbooks filled with items of every kind: medical recipes, quotes, letters, poems, tables of weights and measures, proverbs, prayers, legal formulas and each commonplace book was unique to its creator’s particular interests. This concept really resonated for me as I’m continually thinking about all sorts of things related to my work in libraries and the intersection of this with information and education, and I am regularly excited by how seemingly disparate ideas from various places all come together for me to create an idea or activity. I’m also convinced, by the number of times I have that “I know I read something about that somewhere and now I don’t know where I read it, when I read or even who wrote it” moment, that I really needed to be more deliberate in noting down these things along with my reflections of them. The commonplace concept was my perfect solution! It’s like when I attend a conference or a workshop or some other type of professional learning opportunity. It’s not so much the guts of the presentation that I take notes on, most presenters give you access to that anyway, it’s my thoughts and reflections on the ideas that stand out for me that I make my notes about. Of course you need to spend time soon afterwards, preferably within the next day or two, expanding and explaining the notes to yourself for future reference. After all, who has had the experience of going back to notes you’ve taken at a conference after a few months or even a year and not had any clue about what it was you thought was important in the first place! Having your own commonplace book could be the answer to that. I have a friend who, about a decade ago, spent a year religiously writing in her diary every day about what was happening on the farm, what her children were doing, what the family was involved in. She said it was a huge commitment of her time but now they have this wonderful snapshot of a year in their lives to look back on. What an amazing gift to leave your children, grandchildren and great grandchildren. An insight into your thoughts and ideas as they developed. Of course nowadays, a commonplace book doesn’t have to just be a physical journal or a scrapbook you note things down in. In the current electronic age this could be an online journal or blog that you can very easily add to and refer back to whenever you want or need. I see the commonplace book concept as potentially being a very powerful tool for learning planning skills, self-management and intentional thinking. The multi-year approach could be managed relatively simply by having students create their own blogs which won’t potentially get lost or destroyed in the transition between years. I know there are pitfalls to this idea, but I do believe there are huge benefits to be gained for students if the fish-hooks are ironed out. There are bound to be a number of other great ways of incorporating this into the school or library programme that I haven’t thought of yet. I’d love to hear any other practical applications you might come up with. Inspired to read his book now? Can I suggest you run (and I mean literally, run!) to your local library or bookshop and invest in this treasure trove of ideas for yourself. Happy innovating! I figure this might be the push I need for me to commit to exploring Evernote a bit more – it feels like a good digital place for me to start throwing around ideas, pinning things, and making some sort of sense of all the ideas that I have stuck on bits of random paper. Thanks for giving me plenty of food for thought! 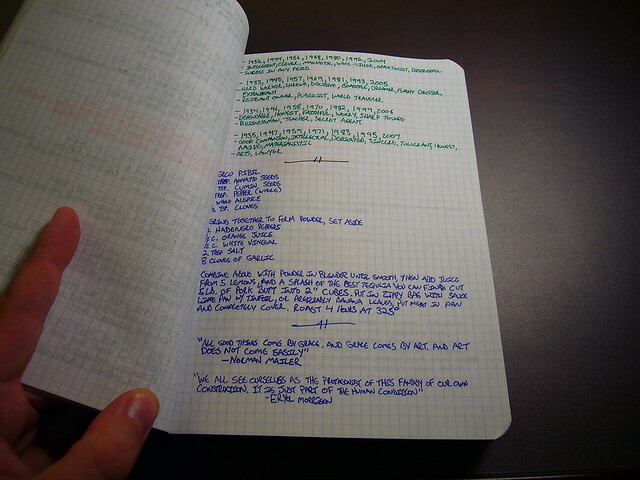 Oooh … I really like the idea of using Ever-note as an electronic Commonplace Book. If you do decide to run with it, I’d love to know how it works for you. I may just give that a whirl myself ….. Thanks Megan …. brain whirring away again now!! A good start to the year! And that first quote is what we are telling our 22 year old son as well. We oldies know the great ideas that have come at the end of a night of socialising. But will he absorb it, mmmm ? Hey Sally, I hear ya! I absolutely love beautiful journals and can’t stop myself from buying them. I have a range of ways of collecting my thoughts …. but now need to be a bit more intentional about how I do it and why. 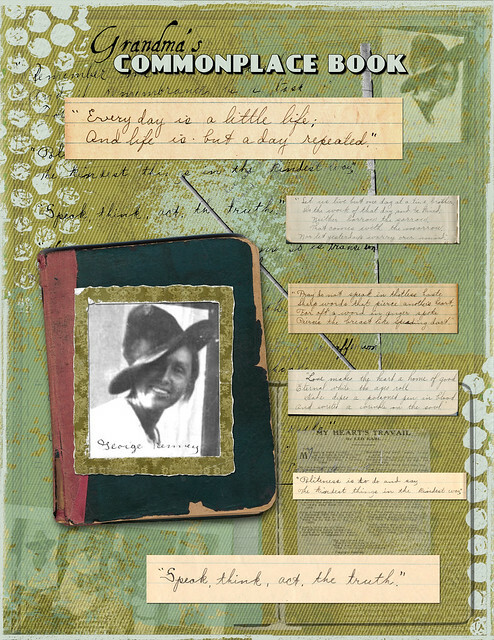 I’m more of a paper girl myself but tend to do more and more online reflection professionally. I reckon the key is to find what works for you and stick to it! (Also online is easier for collaborative brainstorming unless you’re fortunate enough to be able to do face to face which is another big thing about true innovation in Steve’s book.) Would love to know what you think about it once you’re read it. You’ll have a bunch of teachers coming over here from Thailand shortly! I’ve just advertised this fantastic post at Harrow, Senga. What an inspiration you are with this blog. I loved this post. Wow, I am totally inspired to read this book. As I was reading your descriptions of The Commonplace Book I kept on thinking ‘that’s my phone’ as I save everything electronically, even my shopping list! I love what he says about the coffee houses and “connected minds”. We’ve heard before about the power of the conversations around the water cooler, but Steven Johnson has given this concept more depth and true meaning for me. And that’s just from the TED Talk and trailer! Thanks for sharing this Senga. haven’t decided yet what my back up to that could be – we spent 2 and a half days in 2012 without internet and email.